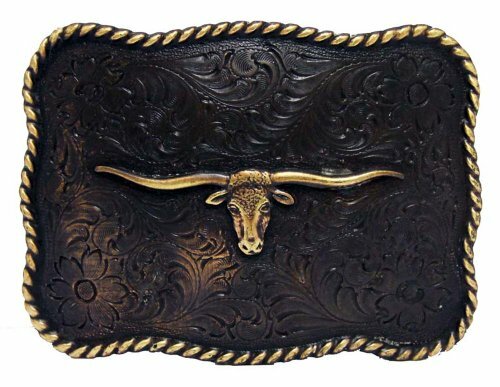 This buckle from medium and f western products is stunning. There is a scrolling pattern border with stars on the corners. 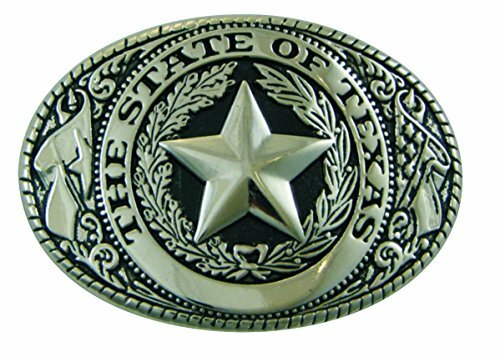 There is the state of Texas with a ribbon that reads the republic of Texas in the center. Smooth edge. 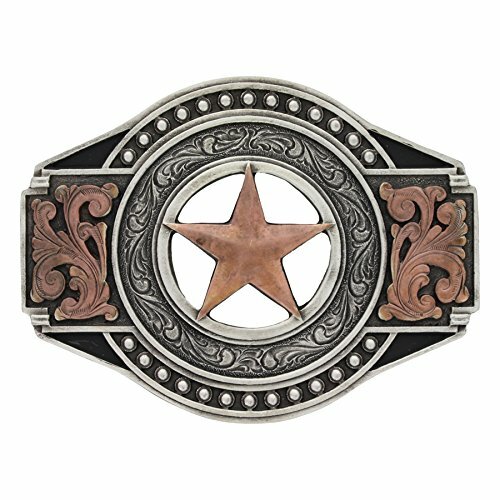 This classic oval western style belt buckle is designed to wear on a 1-1/2" western style belt (with snaps or screws for putting the buckle on). 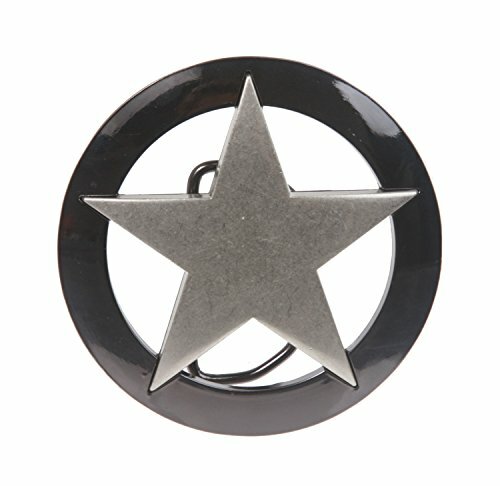 It is made of zinc and plated with an elegant, yet durable, silver-tone finish with black accents. 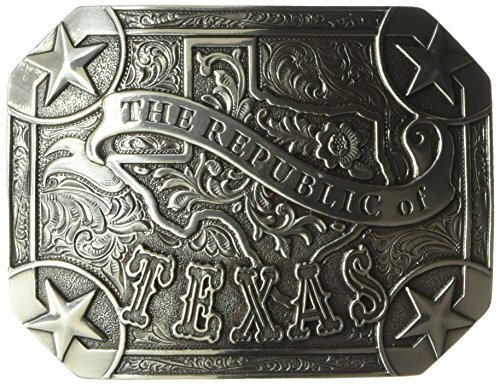 It's a great buckle for daily wear by proud Texans and wanna-be Texans, and it's a very popular gift item. It measures 3-3/4" wide by 2-3/4" tall. 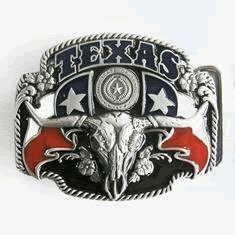 This buckle can be worn by women too. Classic western style and sophisticated craftsmanship come together with jewelry and accessories from Montana Silversmiths. 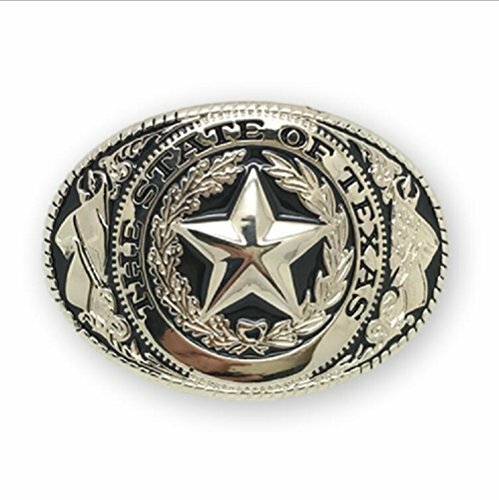 This Two Tone Open Texas Ranger Star Attitude Buckle is made from an antiqued silver and copper finished cast with unusual detailing. You'll always put your best look forward with Montana Silversmiths. 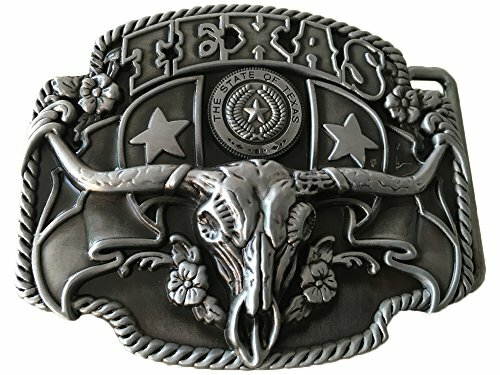 Decorative belt buckle featuring engraved floral pattern with Texas Longhorn Steer in center and rope-edge accent. Weathered antique copper look. Well crafted piece, cast in zinc-alloy from hand-engraved master. 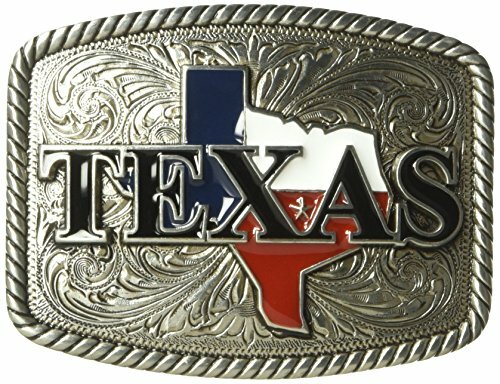 I got a big Texas belt buckle!